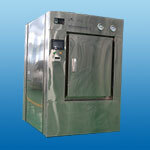 This equipment adopts saturated steam and clean air as sterilization medium. Big sized equipment adopts forced convection circulation, and conducts high temperature and pressure maintaining operations. 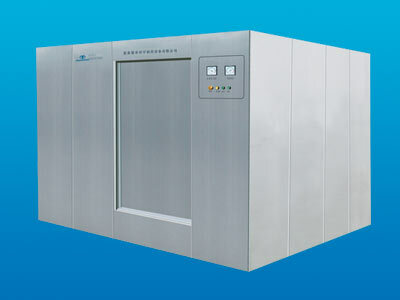 Basic Function Of Gel Sterilizer:This equipment adopts saturated steam and clean air as sterilization medium. Big sized equipment adopts forced convection circulation, and conducts high temperature and pressure maintaining operations. Main-body Of Gel Sterilizer: The equipment adopts horizontal rectangular structure, equipped with chamber made by high-quality 304 acid proof stainless steel and cover plate made by brushed stainless steel. Seal door adopts power door, horizontal sliding door. 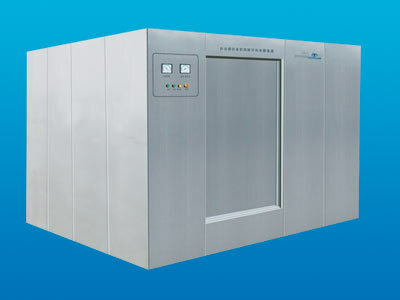 Control System Of Gel Sterilizer:It adopts PLC+touch screen system. 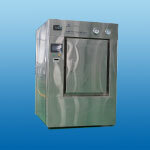 This system detects temperature precisely, runs steadily and has complete sterilization recording function. Pipeline System Of Gel Sterilizer:Optimized configuration in the industry is adopted. Main components include high temperature pneumatic valve and vacuum pump and etc.